What if you could keep Fresno residents safer, significantly reduce gunfire, and take more guns off the street for $300,000? Most folks would say that’s a great deal — let’s do it today. But that’s not how things work at City Hall, where the bureaucracy moves at glacial speeds and the politicians are most enthusiastic about the ideas they can call their own. 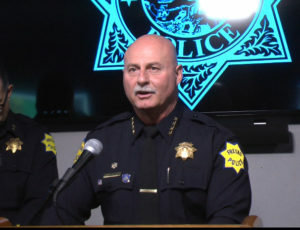 In case you missed it, Fresno Police Chief Jerry Dyer said this week that gunfire dropped 28.9% in the city in 2018 and was down another 20% so far this year. He attributed the decreases to ShotSpotter, the gunfire-detection technology deployed over parts of the city since 2015. Among the more than 80 U.S. cities with ShotSpotter, Fresno ranked No. 2 by percentage for less gunfire, trailing only Savannah, Georgia (30.1%). “That’s pretty amazing, but it wasn’t shocking in terms of what our successes were,” Dyer says. Right now, the system covers 14.26 square miles. Sixty-five schools, Fresno City College, and BRT stops on Blackstone Avenue between Olive and Dakota avenues are under ShotSpotter’s watch. 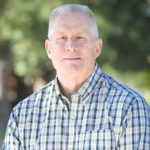 Dyer told me Wednesday that adding another four-to-five square miles at a price of about $300,000 would make Fresno a much safer city. So, I posed the question to Mayor Lee Brand: Will there be $300K in the 2019-20 budget to expand ShotSpotter? The mayor answered that he would look to Fresno Unified School District for funding and possibly grants to cover the costs. That’s understandable, perhaps. Grants paid for the initial coverage. Fresno Unified paid for the first expansion, recognizing that many of its students walk dangerous streets. Last year, the city council approved a three-year $440,000 contract to expand coverage again. But, honestly, I anticipated the mayor saying that he would absolutely get it done. Gunfire detection systems have been around since the 1990s. But only in the last decade have they improved to where they’re worth the price. And, it was only after police chiefs in San Francisco and Oakland endorsed ShotSpotter that Dyer brought it to Fresno. The technology has fulfilled its claims, Dyer says. It can distinguish between gunshots, backfires, and fireworks. In the case of a drive-by shooting, it can even tell officers which way the vehicle was headed when the guns went off. And it pinpoints the shots to within 15 feet, enabling officers to narrow the area to comb for evidence such as shell casings. In fact, the chief says that the response time for answering a “shots fired” call is cut in half — eight minutes to four minutes. Sometimes, officers can be there within one minute. And, finally, the system simply provides police with a more accurate picture of gunfire in Fresno. That’s because residents are often hesitant to call police when they hear shots. There are parts of Fresno where ShotSpotter isn’t needed. Unfortunately, much of the city is gang territory, and ShotSpotter is an indispensable necessity. When seconds are the difference between life and death — or catching a killer — this gunshot detection technology should be everywhere it’s needed.